There is something hopeful about a New Year. It feels as though there is something ingrained in us to want to improve, want to do better, or want to try something new. No matter how the year turned out for us, we have hope that things will either excel from last year’s success or turnaround for the better from last year’s woes. New Year’s make perfect times to recharge and give a little motivation for being more efficient in your home, work, and life. 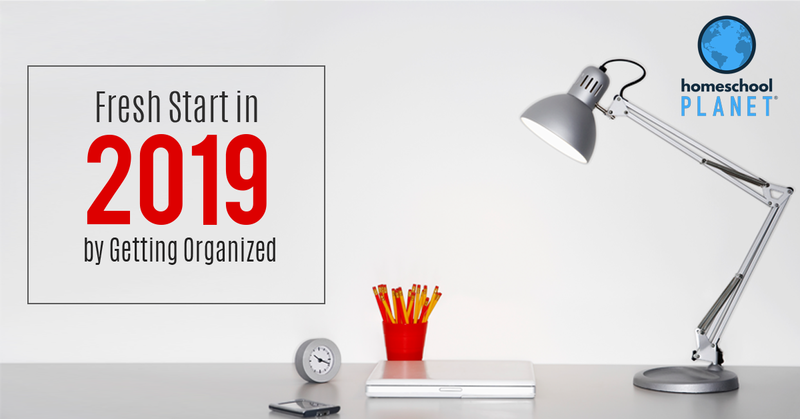 The key to making a fresh start in the New Year is to organize your surroundings for smooth sailing. There are three things a mom can do to organize and make a fresh new start. I am sure there are a billion other things to help you, but these have helped me first hand. It is certainly common to hear people say that we should put God first in all we do. However, what does that look like in our lives? Deuteronomy 6: 5 says we should love the Lord our God with all our heart. with all our soul and with all our might. He surely doesn’t command that we do that for any other thing in this whole world, including our kids and husband. It is hard for us to hear that sometimes when we put so much of who we are into our kids and spouse. It is easy to get consumed with our children’s needs, with our husband’s attention, but nothing will work as it should without God being our #1 priority. The truth is, if we make reading His good Word and being in His presence through prayer and supplication, we will only then fully understand who He truly is. That includes Him being a God of order. God was the perfect planner and commanded order! He, in 6 consecutive days, planned the whole of creation. He could have made it all exist, all at once but He didn’t. He even scheduled a specific time for rest. We can learn to be intentional in getting organized as the Lord has exemplified. Putting Him FIRST will really put the rest into perspective. This admittedly was the hardest for me last year; if you have been accustomed to putting yourself on the backburner, then I know you can relate. I feel guilty to take care of me. Do you ever feel that way? My sister-in-law gave me a gift certificate to get a massage for my birthday one year (January). It expired on the 11th of August. Guess what day I scheduled my appointment? August 11th. I felt guilty about making an appointment for a FREE massage! That is “momlife” sometimes. There are some common “momlife” challenges that can really drain us physically and spiritually. Regardless of how draining these things can be, we can’t forget that fact that God’s Word tells us to deny ourselves (Luke 9:23). We memorize verses like this and Philippians 2:3-4 and inevitably want to put others before ourselves. I get it, trust me. Sometimes when I feel drained; it feels as though there is a weight on my body and arms like an X-Ray vest. I can’t help but think that God would have us to find ways to replenish ourselves to keep going. To try and get this weight off of ourselves. Being a mom is a selfless commission and we do it willingly. We don’t get vacations, we don’t have lunch breaks, we don’t have sick days, or get off early. We must remember that Jesus clearly has told us to go off by ourselves to a quiet place and rest a while (Mark 6:31). He understands us fully. At the time he said this, many people were coming and going. So much so, that Jesus and his apostles didn’t even have time to eat. Sound familiar? Think about this for a moment. We encourage our kids to have healthy godly friendships, do we work on any friendships of our own? We make our kids go to bed at a decent hour (because it is healthy), but do we do the same for ourselves? We have bible study with our kids, read God’s Word and pray with them, but how much time do we spend one-on-one with the Creator—our comforter (Jehovah Nacham)? What can you think of to do to take care of you this year and give yourself some rest? I am sure you have heard the saying ”If you fail to plan, then you plan to fail.” Planning is not sufficient within itself. We can plan all day long, then not follow through with what we have set out for ourselves to accomplish. I don’t know about you but my mind is just not working like it used to. I recently started working online on top of homeschooling. I praise God that I was able to get one job after the other when I started, but somehow I thought I could keep it all together… in my brain. After a missed video conference, I knew I had to get organized somehow. I needed something to use while I was working, but I didn’t want to use yet another platform to log into. If you are like me, you have zillions (OK, not zillions, but A LOT) of tabs open at once. We need to simplify, not add another one. I was already using Homeschool Planet and looked through its capabilities to find that I didn’t have to use it only for homeschool. Homeschool Planet allows families to access every family member’s schedule. I have added my chore charts for the family to it as well. I know that I needed to look no further for something to organize my homeschool, life, and now work. I am completely satisfied with how Homeschool Planet keeps my life in order. It brings me joy to know that I have a computer-based system to plan and organize all my needs and in ONE place. 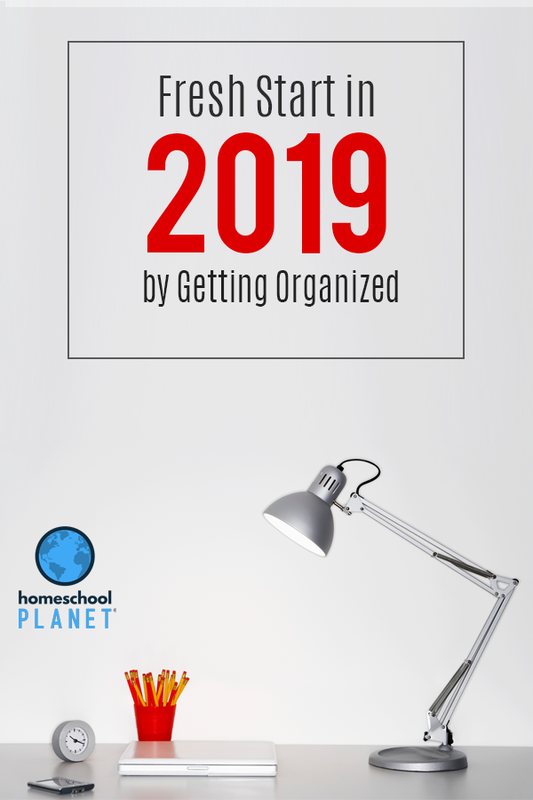 Homeschool Planet may be exactly what you need to make a fresh start this New Year, to organize, and to schedule in some time to take care of yourself. Putting God first, spending time alone with Him, and efficiently planning my schedule helped me over the years to organize and make a fresh start every year. What will you do to start fresh this New Year?